The data from Telecom Regulatory Authority of India (TRAI) reveals an astonishing fact. It brings out number of telephone users added to ever increasing telecom market in India. The number has reached to enormous figure of 17M in July, 2010. Besides that multi/dual SIM phone market has also considerably increased in India and data shows that some 38.5% of it is captured by such dual SIM mobile phones. Looking at the trend, even big players of handset making companies have launched dual SIM mobiles. 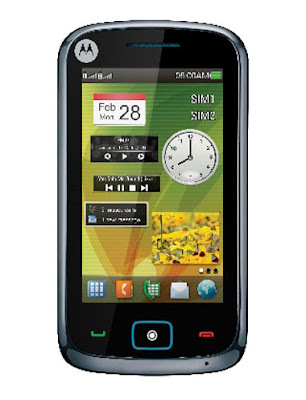 The latest entrant in this segment is Motorola, a US-based handset maker. World renowned, Motorola has launched two dual-SIM handsets in the mid-price segment of Rs. 5,000 to Rs 6,000. 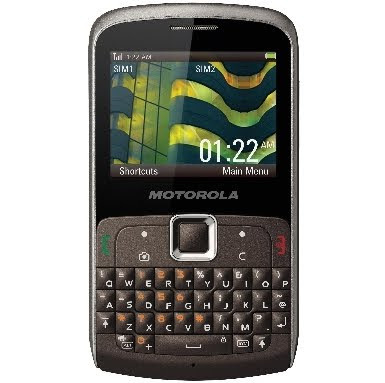 The handsets are named as Motorola EX128 and Motorola EX115. The former is priced at Rs 5,990 (MRP Rs 6,990) and the latter is available at Rs 4,990 (MRP Rs 5,990) respectively. The two handsets have also integrated various features inside them as available in most of the dual SIM phones available in the handset market.